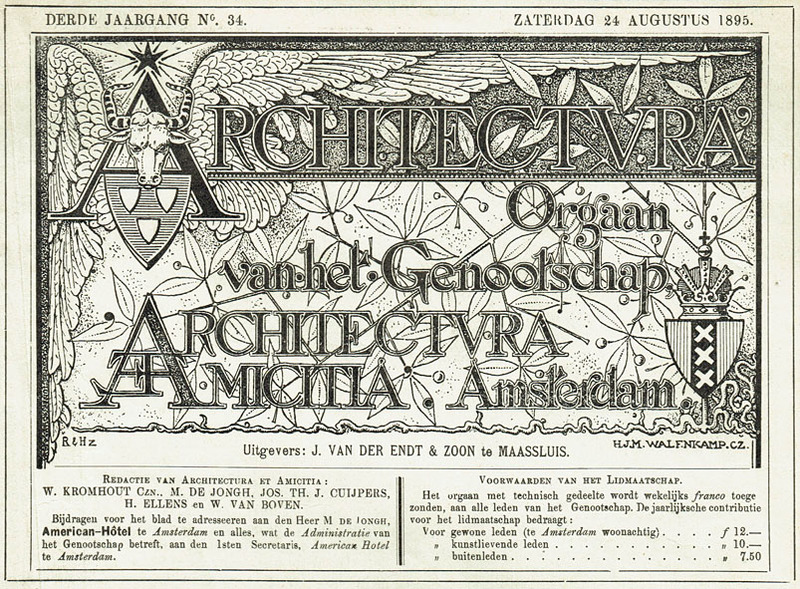 ‘De Architect’ (The Architect) was the magazine of ‘Architectura et Amicitia’ (Architecture and Friendship). This Amsterdam society for architects and related professions played a key role in the renewel of Dutch architecture and applied arts. 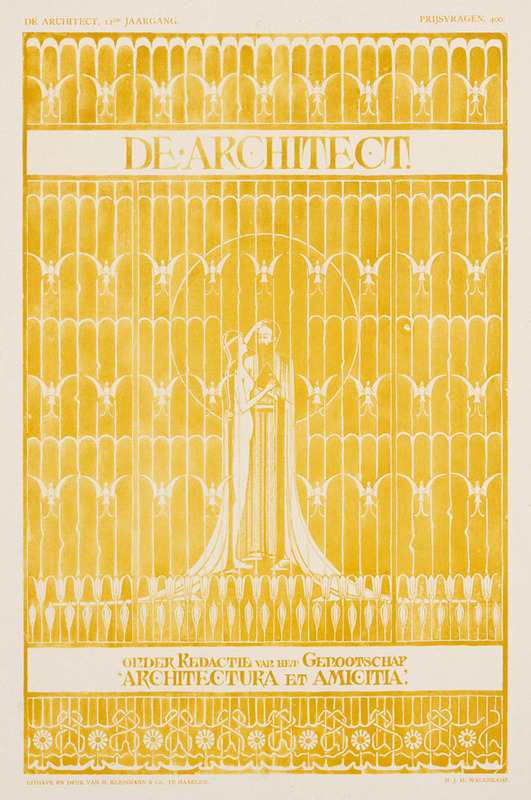 Architectura et Amicitia regularly held design competitions. The award-winning designs were published in The Architect. In this way the magazine provided a platform for young innovative designers. 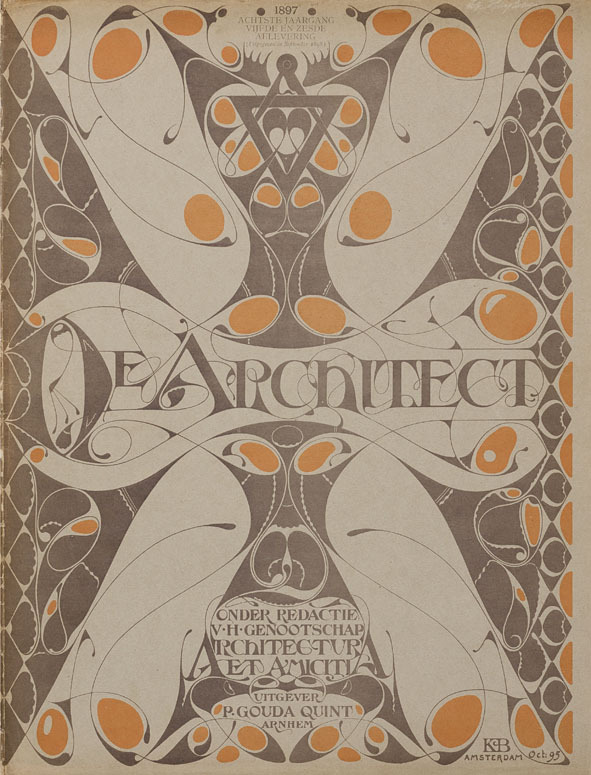 The covers of The Architect were designed by important members of Architectura et Amicitia, such as Karel de Bazel (cover design for 1896-1898), Mathieu Lauweriks (cover design for 1899-1900) and Herman Walenkamp (cover design for 1906). These 3 young architects started their careers as draftsmen at the bureau of Pierre Cuypers, the architect of the Central Station and ‘Rijksmuseum’ in Amsterdam. In 1896 they founded together the Theosophical Vahâna-lodge in Amsterdam. Here they gave lessons in drawing, art history and aesthetics, emphasizing the relationship between nature, cosmos and a mathematical architectural order. The Vahâna-courses have been of great influence for the dissemination of Theosophical ideas among Dutch artists. 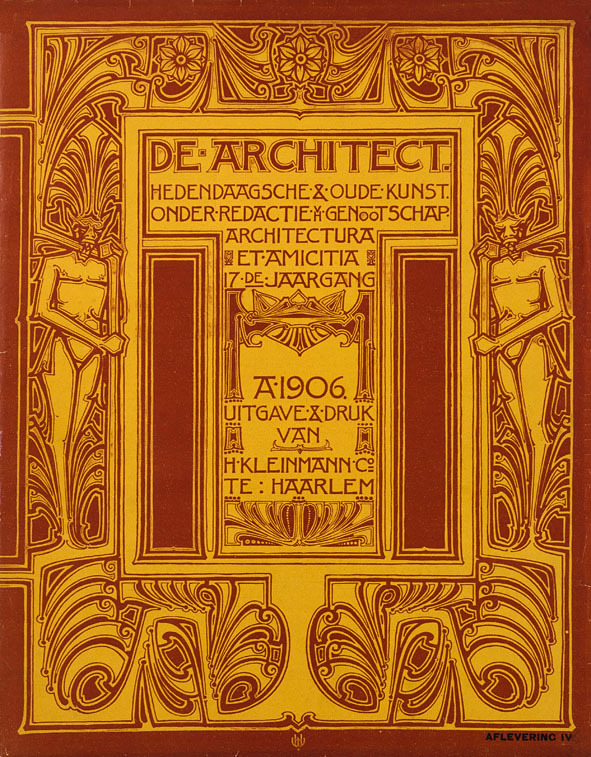 The cover for 1907 is designed by architect Abel Antoon Kok. 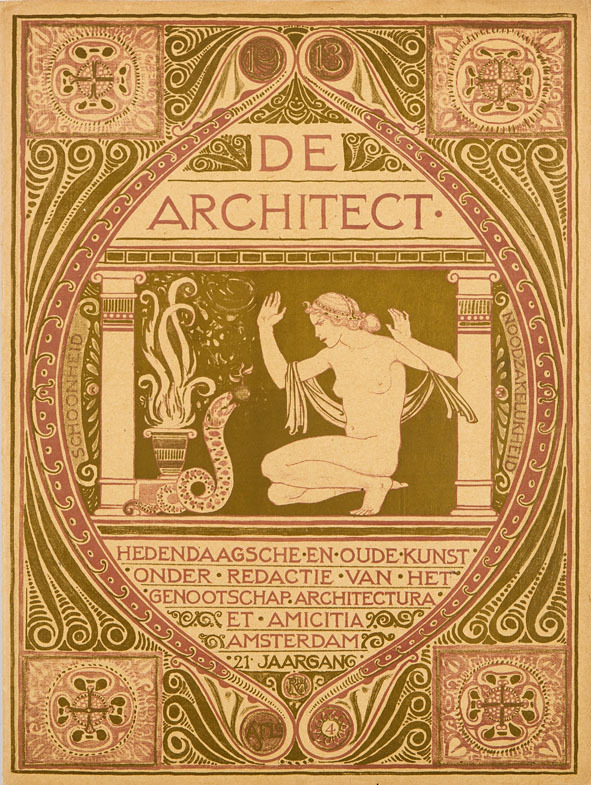 Characteristic of the so-called ‘Nieuwe Kunst’, the Dutch version of Art Nouveau, are the stylized floral motifs in a strict mathematical composition. More freely is the cover design by Richard Roland Holst for 1911 to 1914. Roland Holst was not an architect. He designed wall paintings and stained-glass windows and carried out many assignments for the buildings of H.P. Berlage. 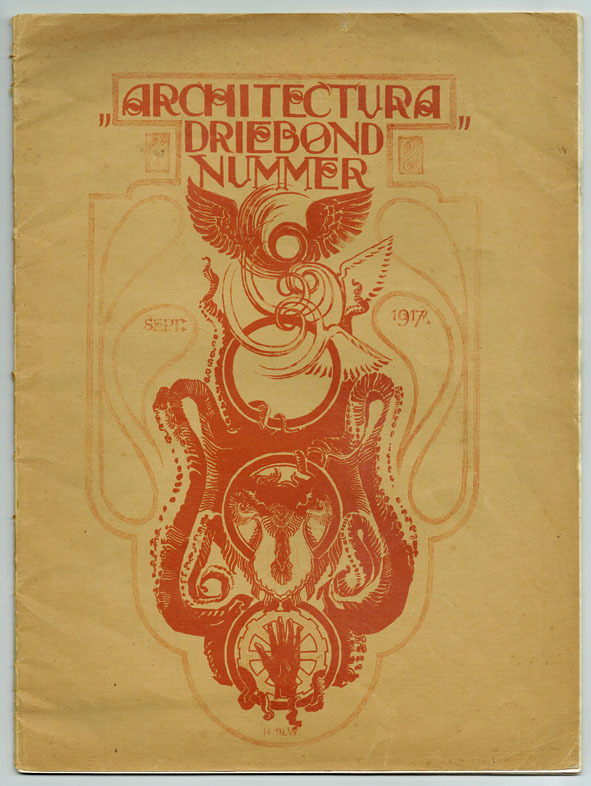 The “Architectura Driebond Nummer” from 1917 was a special issue on the bond between industry, commerce and art. 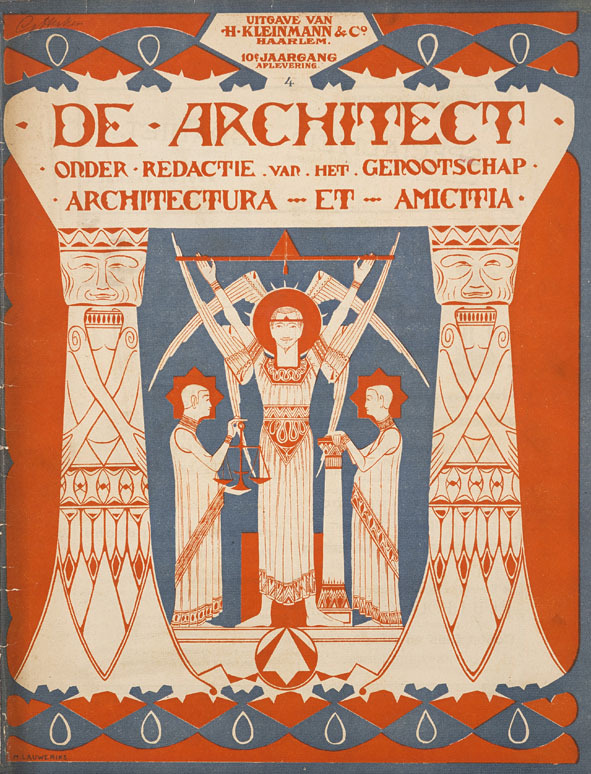 The cover was designed by architect Hendrik Wijdeveld, who in 1918 released Wendingen. 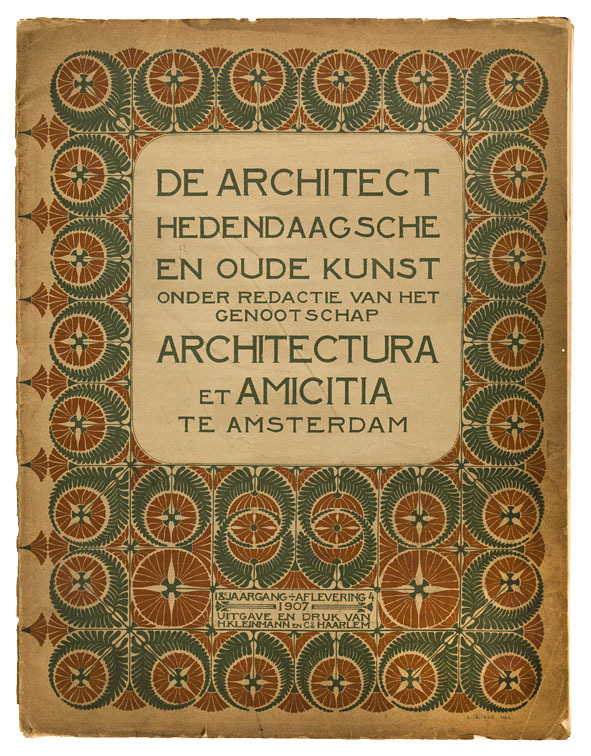 This new magazine of Architectura et Amicitia became the mouthpiece for the Amsterdam School architects and designers.